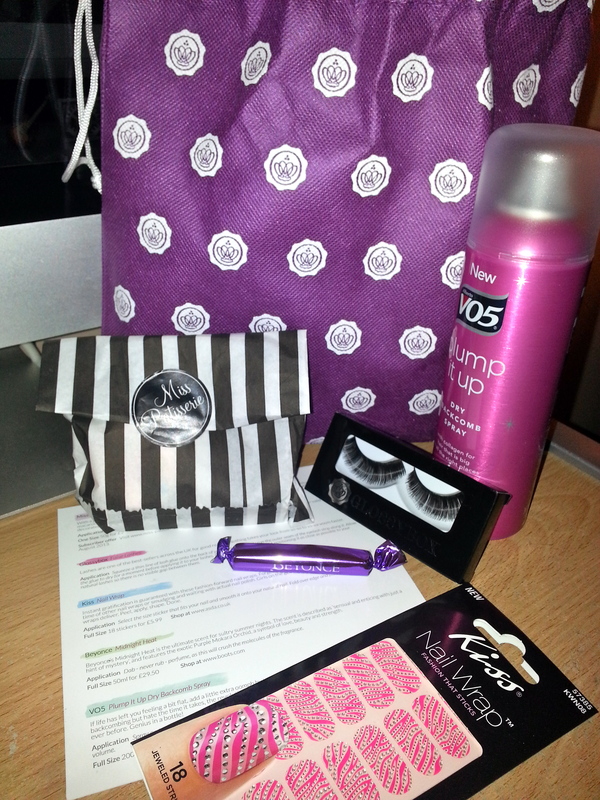 Today i received my first ever Miss Glossbox which is supposedly aimed at younger beauty queens. But beleive me all thats in this box, is totally fine for a 24 year old woman like me and over. 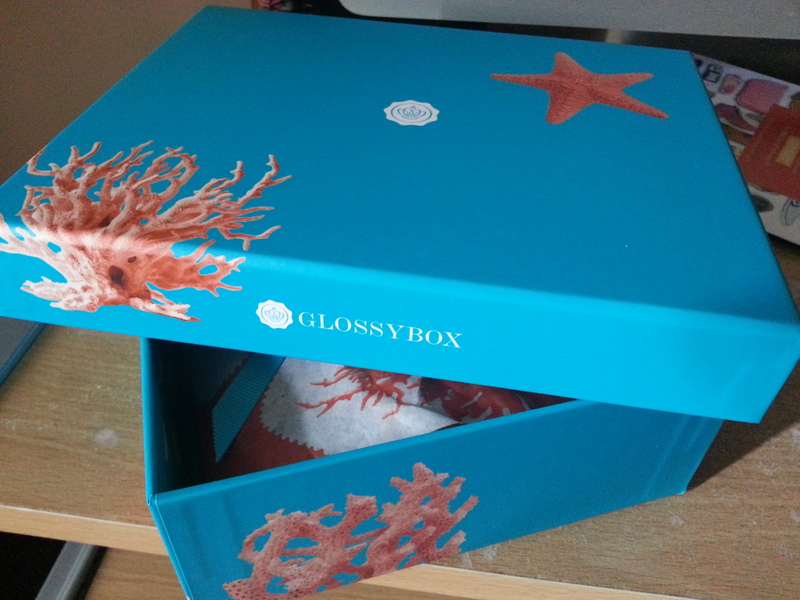 Beauty is beauty and to be honest i was so excited to receiving this box over my ”Original Glossybox” don’t get we wrong my Seaside Edition for july this month was lovely but for some reason This MISS GLOSSYBOX made me just more excited. 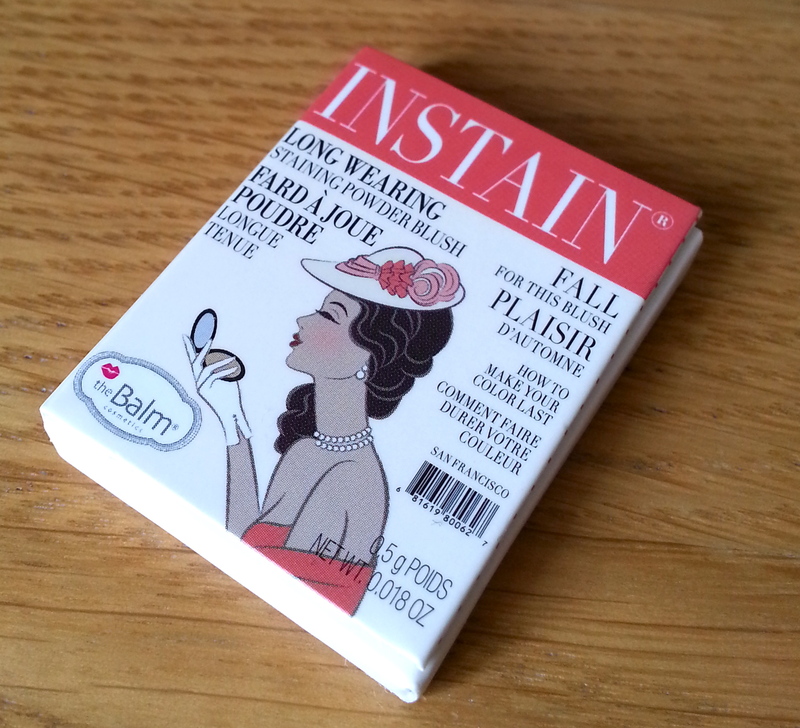 GlossyBox 1 pair of False Lashes + Adhesive. No Price Was displayed on card so wouldn’t know if this was a freebie extra or what. I dont normally wear eyelashes so this will be given to my sister. overall quiet pleased love the Purple drawstring bag it all comes in. This subscription service is based on High street brands, as apposed to the Original Glossybox is more based around luxury branded name items as well as a few high street brands. You really do get your money worth with the Original Glossybox than the Miss Glossy Box. But with the extra attention to the Purple drawstring bag (which is a generous size i can fit all my lovely things in there) plus the colour of the box and all the items, it really makes up for it. So quiet pleased with my First Miss Glossybox Purchase. with products from around the world. including western Australia, France and the USA. This month Birchbox is very good and i’m quiet excited to start using the products. 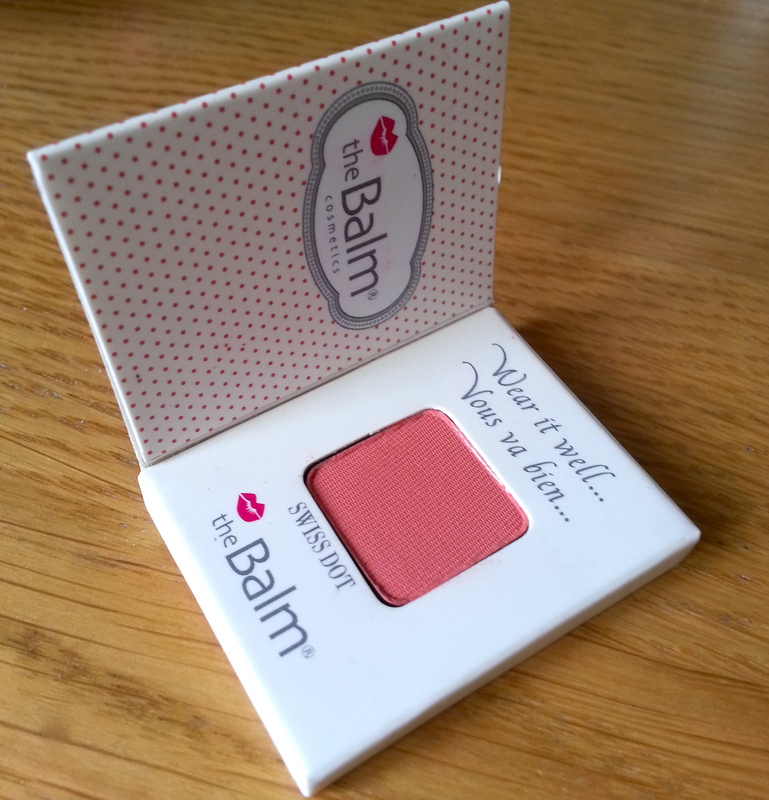 Received a sample size 0.5g which is very tiny, too tiny in fact shame because the colour is lovely. 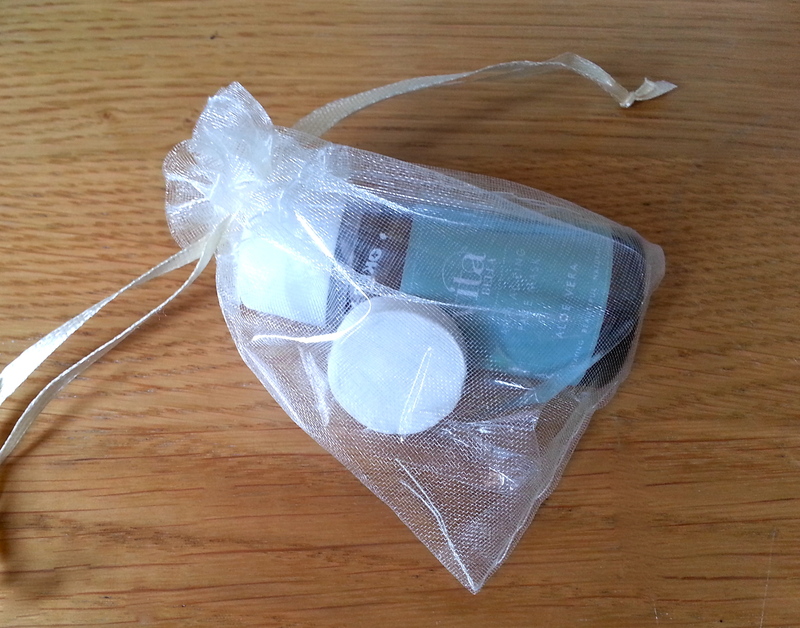 Anti Ageing Face Mask Which comes in little drawstring bag Received one of these with a white tablet which is in fact the face mask. 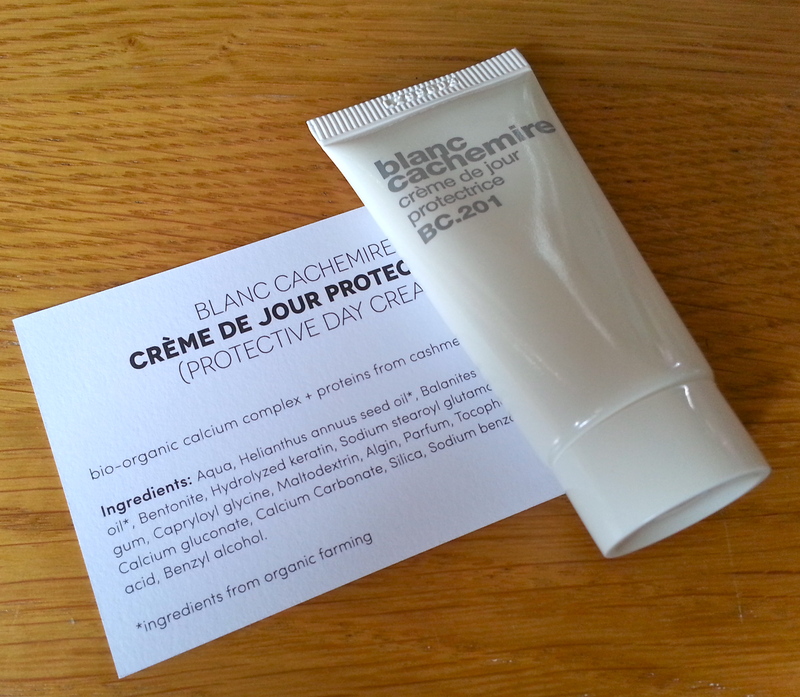 Received One 13ml Size pot and one face mask so £10 each a bottle?? 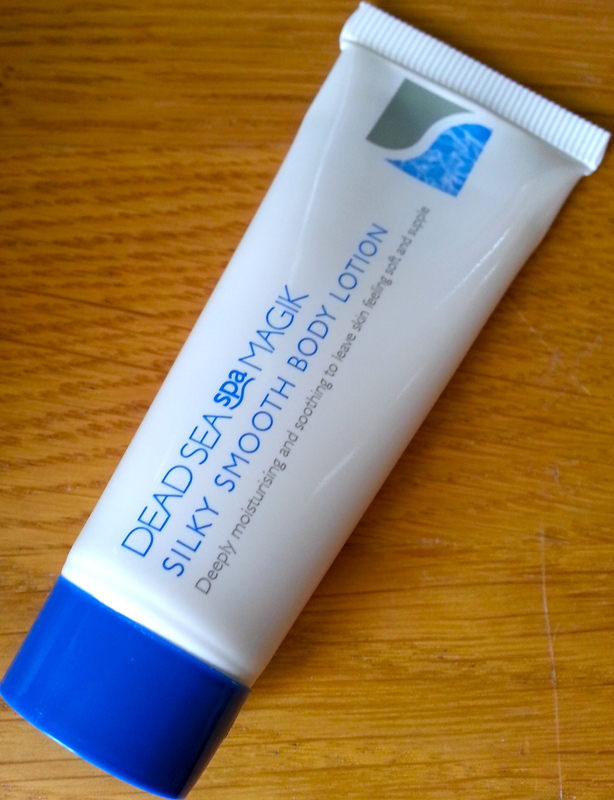 100% natural ingredients are used in a high-tech way to provide a gentle approach to anti-ageing. Very pleased With this months Box. All my items came in a Cute Pink Birchbox Drawstring bag this month. Its Different and i quiet like this. Note sure about it being a summary jet set box? Confused about that. But overall very pleased. Im on a monthly subscription for £10.00 +2.95 for delivery. 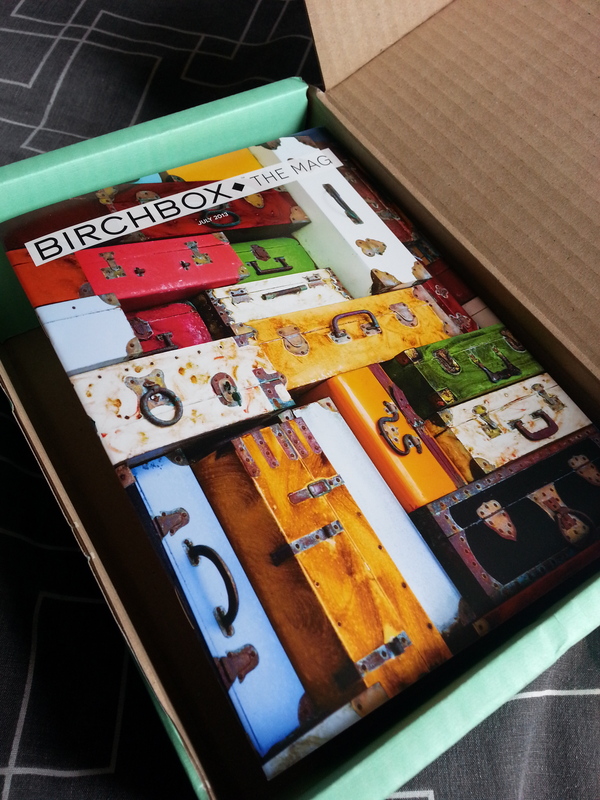 comes with a Birchbox Magazine with hints tips and tricks plus any gossip on the now. 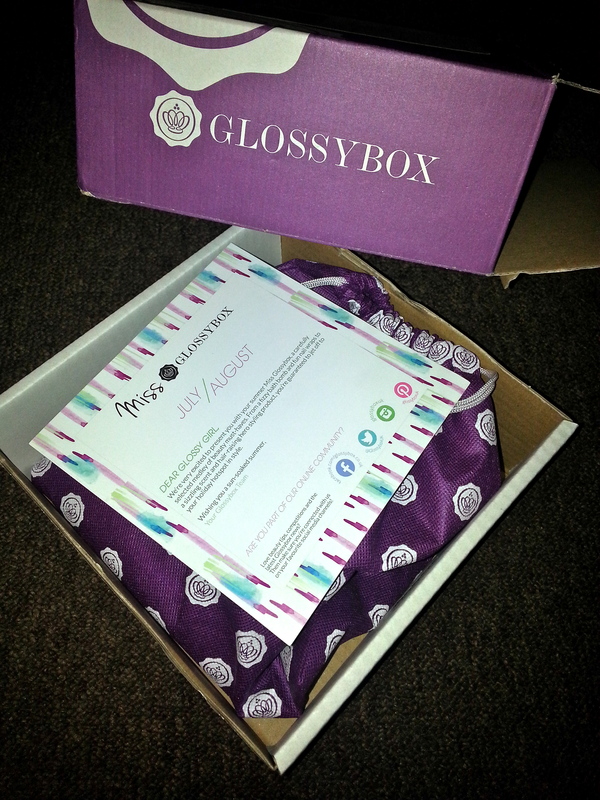 Yay Woke up this morning to hear a knock at my door only to find its my Glossybox for July. 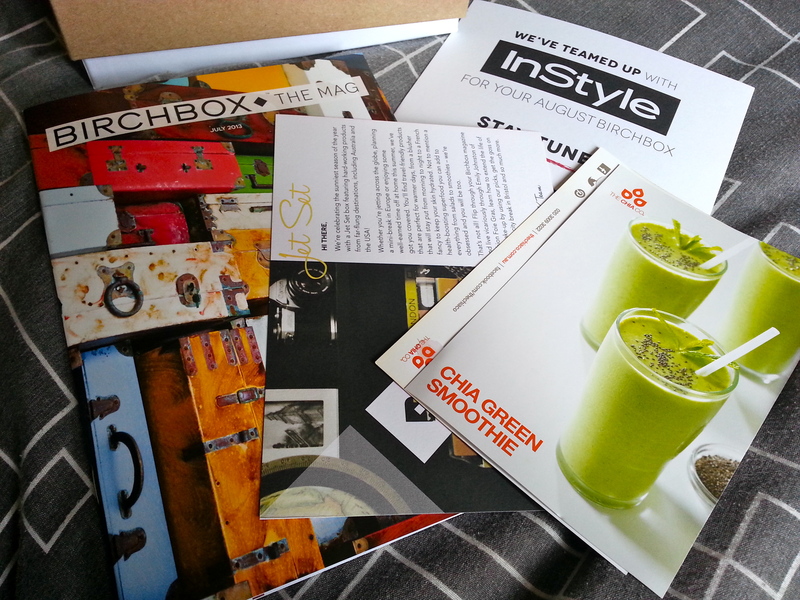 The dispatched date for this months box was yesterday (Friday 12th) I cant believe I got my Box today Yay. I didn’t receive the tracking details neither does it says its been dispatched yet. i literally got mine within 12 hours Maybe from when Glossybox announced on there Facebook and twitter that itl be dispatched in the evening. 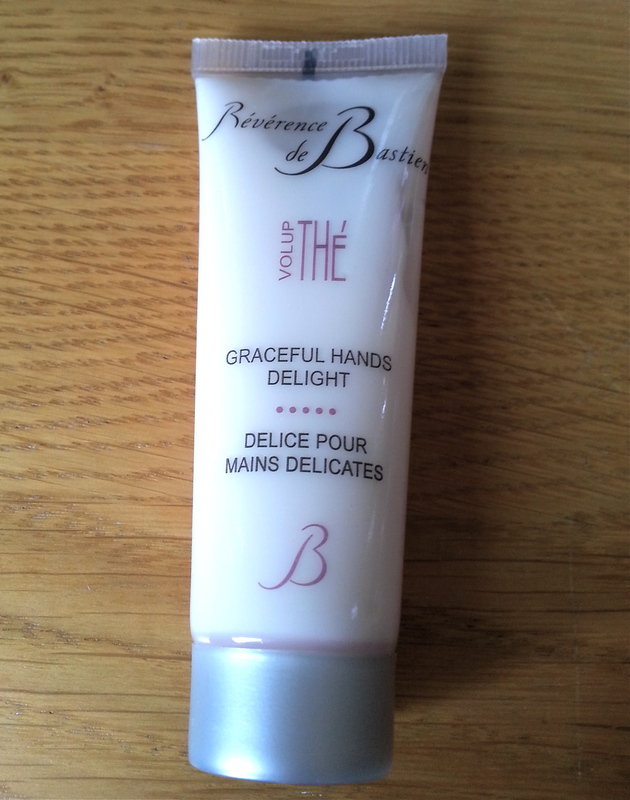 First of all shall i just start by saying how Cute is the packaging!!?? 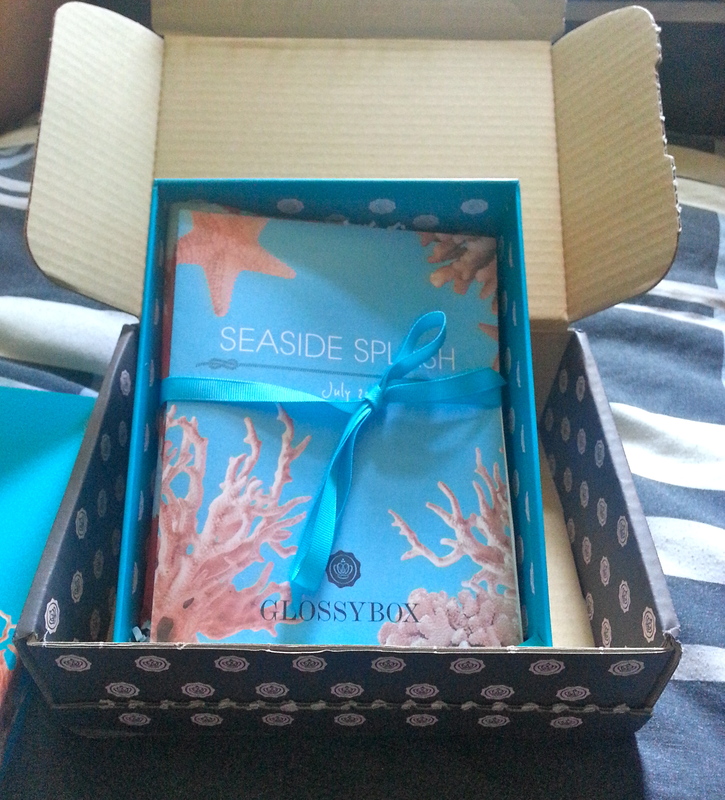 love the Blue box with Seaside shell design. Cute! Anyway here whats in my box this month and im super excited! Very pleased so far will try them out asap and will let you know. Delivered via Hermes. Im on a monthly subscription for £10.00 +2.95 for delivery worth every penny! !